Both of our ISO auditors were very impressed with the Lantek system. One auditor, who has been performing inspections for 20 years, said this was one of the most impressive software systems she has seen for building an ISO program. Lantek calculates times and costs for quotes with an accuracy of more than 99%... unbelievable! Great class and product. Thank you for all the help. For me, it was really easy to catch onto this program. I had used a different nesting software for our plasma equipment, the Lantek software is so much simpler. Thank you. The training was very enjoyable. With so much information to cover I know you cannot show us everything but I feel very comfortable that you gave me the foundation I need to be a success. We do a wide variety of specialized jobs and needed a system that would allow us to react quickly to our customer needs. The integration of all the Lantek software modules has significantly reduced the lead times in all areas of our business. Many software companies had pieces of what we were looking for, but Lantek had the entire package. Lantek is just awesome. What we’ve achieved partnering with them is incredible. Tony Barnett did a great job with our customer. Thanks to all at Lantek for supporting us and our customers so well. Brandon addressed all of our questions and was very knowledgeable. He has the system installed and we are ready for training. Chris Pollard showed us how to save a fifth of the material and 40 hours on a regular job. That’s great support. Thanks. Kenny Krier (Crest Hill, IL), Fab Werks, Inc.
We have a large variety of high value machinery so it is important for us to have Lantek’s advanced and innovative software infrastructure which squeezes the utmost performance from our equipment and which is also capable of optimizing our processes. Are you ready for the future? At Lantek we understand where you’re coming from. We are cooperating with many companies around the world to process metal in a productive and efficient way, helping them to find new opportunities to grow and to create value. 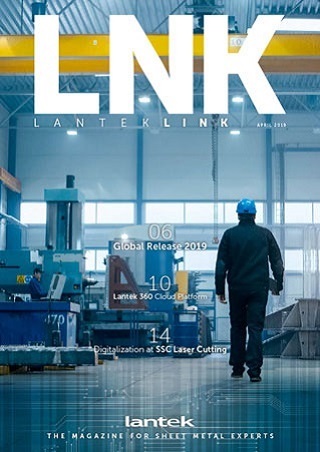 Take a closer look at how Lantek is helping some of our customers and how we can help your business excel in a market evolving so quickly as the metal industry.